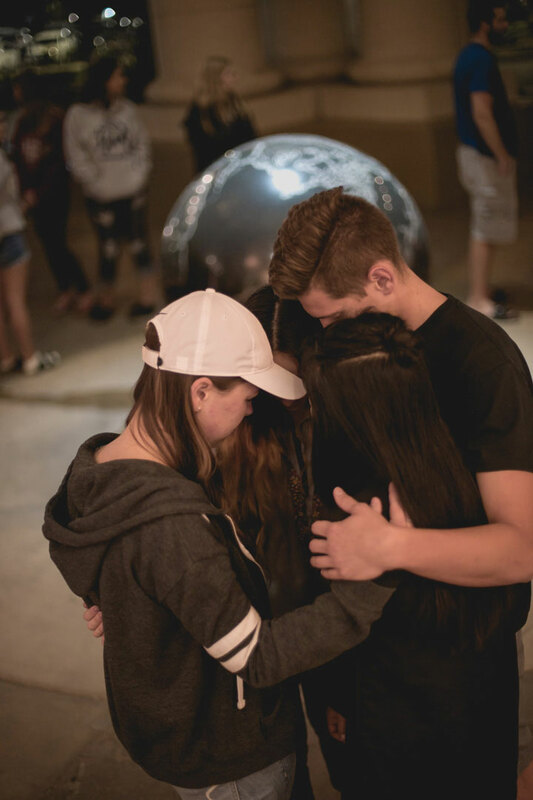 City, students mourn loss of community, gather around those affected. 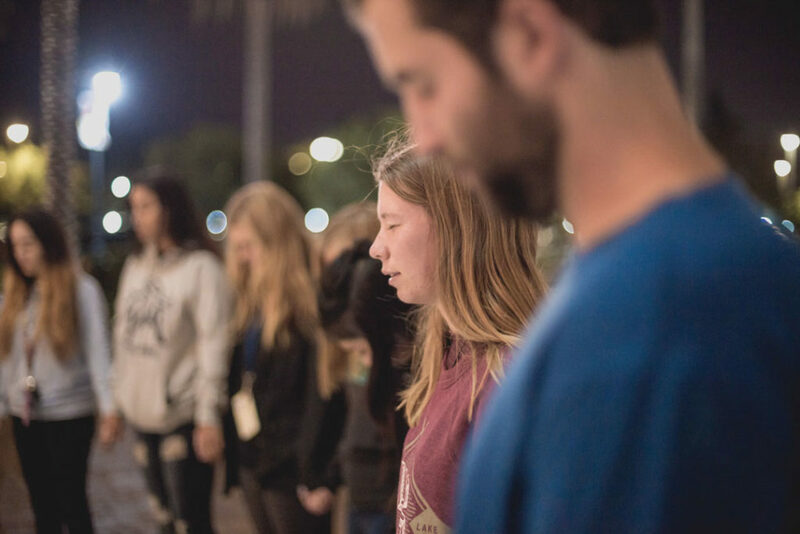 A California Baptist University student was injured by debris Oct. 1 when rapid fire bullets rained down on a crowd of 22,000 people at the Route 91 Harvest Festival in Las Vegas, resulting in 59 casualties and more than 500 injuries — the largest mass shooting in American history. 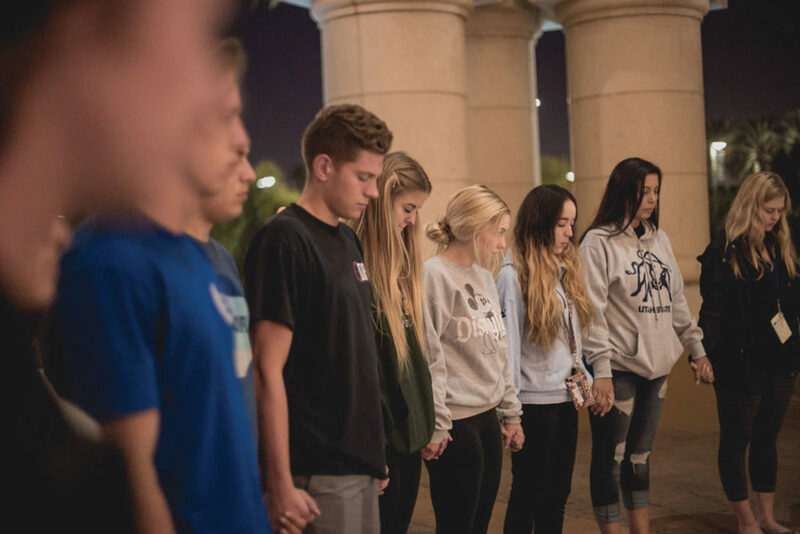 “It’s kind of crazy saying, ‘I survived the deadliest mass shooting in American history,’” said Ellen Davis, sophomore political science and international studies double major and daughter of Dr. Dirk Davis, associate vice president for academics for Online and Professional Studies. She was one of several CBU students who attended the festival. Other students in attendance were contacted by The Banner but declined to comment for publication. Davis was singing and dancing along with Route 91 headliner and country singer Jason Aldean at the frontright section of the main stage when a few rhythmic popping sounds rang out. “(The sound) paused for just a second and everyone was looking around and wondering, ‘Where are the fireworks? Where’s the light?’ When that didn’t happen, more popping sounds started going off and at that point it was pretty obvious that it was something like a machine gun and not fireworks,” Davis said. When the gunfire paused, she said she noticed casualties and injuries. Davis then found herself sprinting, attempting to huddle close to the ground or jump over fences to escape the onslaught from 64-year-old gunman Stephen Paddock without knowing where to hide. When she got off the ground, she sprinted and sought out safety in several locations. As she ran, Davis said she realized her legs were bleeding from shattered glass. “I had my parents on the phone at that point. I had texted them and just said, ‘Gunshots. I love you,’” Davis said. Along the way, she found herself in an airplane hangar where off-duty nurses, paramedics and police officers were helping whomever they could. In an office inside the hangar, they found a box of men’s dress shirts which they used to tie around her legs. Once cops arrived to rescue the group in the hangar, she was driven to the University of Nevada, Las Vegas, where she found unlikely comfort in a familiar face. A family whom her younger sister knew from elementary school recognized Davis and made arrangements between themselves and her parents for her to stay with them until her father came to pick her up. As she waited, the family helped clean her wounds and helped her change out of the clothes she said were covered in other people’s blood. On Monday, Oct. 2 around 2:30 a.m., her father took her to the hospital where doctors X-rayed her legs, checked her head and neck and gave her about 22 stitches. She was released form the hospital later that morning around 6 a.m. and is recovering. The shooting lasted approximately nine to 11 minutes and left dozens of bodies scattered across the deserted concert field. Among the victims was Melissa Ramirez, 26-yearold California State University– Bakersfield alumna and cousin of Maribel Ramirez, CBU alumna. Melissa Ramirez was one of the victims not immediately identified and was considered missing until Oct. 3. “We had hopes that she was still alive,” Maribel Ramirez said. “It wasn’t until Tuesday at 5 a.m. that we were notified by family members that my uncle had confirmed her body. She died instantly on the scene. She got hit in the leg and kept running. She was almost out, by the gate,” Maribel Ramirez said. It was by the gate she was then shot a second time. While the family is still suffering, they have received support and donations from their community and from strangers all over the country who had never met Melissa Ramirez, simply because she was an avid fan of the Philadelphia Eagles. When the shots rang out at the festival, Renee Cesario, 23-year-old Riverside resident who attended the show with her friend Davis, was immediately pulled to the ground and shielded by a U.S. Marine she had met only hours earlier — 21-year-old Brendan Kelly, brother of CBU’s Morgan Kelly, senior photography major. After deciding the venue was not safe, they started running through the crowd to find shelter. They found a temporary haven in an apartment building where groups who fled the concert hid in silence, heads ducked down. It was there that Brendan Kelly introduced himself as a Marine, instructed the group to stay hidden and quiet and promised to protect them no matter the cost. His actions kept himself and Cesario safe and unharmed. “As his sister, I couldn’t be more thankful for the fact that Jesus kept his hand of protection over him and allowed him to take action in saving the girl’s life,” Morgan Kelly said. 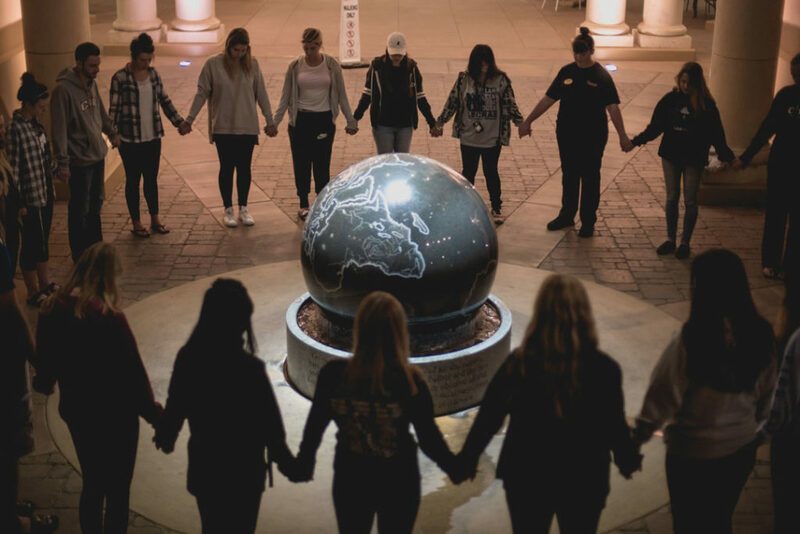 For those who were in attendance, those rescued and who survived, the Inland Empire community continues to stand by those affected and it mourns those who were lost, including Angela Gomez, 20-year-old nursing student at Riverside Community College and friend of both Davis and Cesario. They did not attend the concert together and only later learned Gomez was killed in the attack. Davis and Cesario attended Gomez’s memorial service Oct. 4. Gomez’s best friend of eight years, Veronika Maldonado, said Gomez would be remembered as a caregiver. Though still grieving the recent trauma, the Inland Empire continued to support and care for its own — the GoFundMe page for Gomez’s funeral costs raised more than $10,000 in its first three hours and has since exceeded $78,000, and the page for Melissa Ramirez also surpassed its original goal of $10,000, raising nearly $40,000 over the course of the week. As the community continues to gather together, community members said Inland Empire victims who were killed in the mass shooting will not be forgotten. The intentions of the shooter may never be known, but far more certain is the unity and strength of the Inland Empire community. Clark County is working with state and local officials, the Direct Impact Fund and the National Center for Victims of Crime through Go-FundMe to create a central donation pool to be distributed directly to the families of those affected. As of Oct. 6, it has raised nearly $10 million. It can be found under “Las Vegas Victims’ Fund” on GoFundMe. To donate blood, visit the San Bernardino Lifestream blood bank at 384 W. Orange Show Road. Their operating hours are 7:30 a.m.–5 p.m. on weekdays and 8:30 a.m.–4 p.m. on Sundays.